A recent breakthrough from NASA allows scientists to see the sun in a whole new way. The Solar Terrestrial Relations Observatory (STEREO) is helping to answer questions plaguing the scientific community. When the sun’s solar material begins leaving its atmosphere, also known as the corona, it’s a steady and focused stream. But once it reaches the end of the sun’s magnetic field, the material’s flow becomes scattered and turbulent. The question of why and how this happens was finally answered by scientists at NASA’s Goddard Space Flight Center. The sun is made of plasma that is formed by a mix of oppositely-charged particles that separate at high temperatures. These particles separate and then travel away from the sun through its magnetic field. 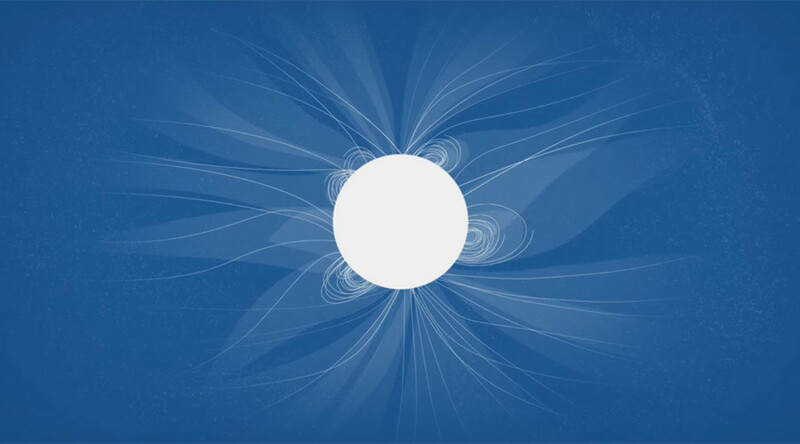 Once it leaves the magnetic field, it enters the area of solar winds. Solar winds are the constant flow of particles that fill our solar system and the space between planets. But the question that has beleaguered scientists is why the particles leaving the sun’s magnetic field go very quickly from being focused to falling apart. But the recent breakthrough has finally given scientists an idea of what happens between particles being a part of the sun and being solar wind. "Now we have a global picture of solar wind evolution," Nicholeen Viall, a solar scientist at NASA's Goddard Space Flight Center told Raw Story. "This is really going to change our understanding of how the space environment develops." The effect of particles becoming solar wind was described by Goddard as being like water leaving a squirt gun. As it travels further away, the force becomes weaker and the stream breaks apart and has a misting effect. "As you go farther from the sun, the magnetic field strength drops faster than the pressure of the material does," Craig DeForest, lead author of the paper and a solar physicist, told Raw Story "Eventually, the material starts to act more like a gas, and less like a magnetically structured plasma." Viall and Deforest are co-authors of a study published in the Astrophysical Journal explaining the fading coronal structure. To accurately display the transition’s subtle changes, scientists had to distinguish solar winds from general background noise and light sources that were, because this is the sun after all, extremely bright. STEREO, a team of two spaced-based observatories, allows scientists to see the structure of solar storms and map their evolution from both behind and in front of Earth’s orbit. Scientists have hypothesized about the nature of sun’s magnetic forces and solar winds for a long time. However, the challenges in processing images for further evidence was too difficult to overcome without NASA’s STEREO.